Has it only been five weeks since I had my worst working mother day ever?? The day that Bubbe was called to the school to handle issues concerning two of the three kids? 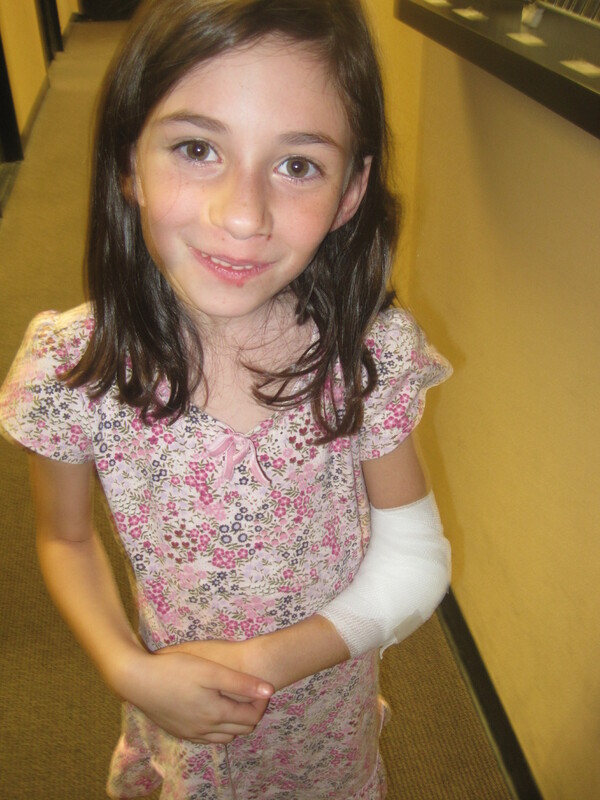 Including taking Poppyseed to the doctor for what turned out to be a supracondyar humerus fracture? 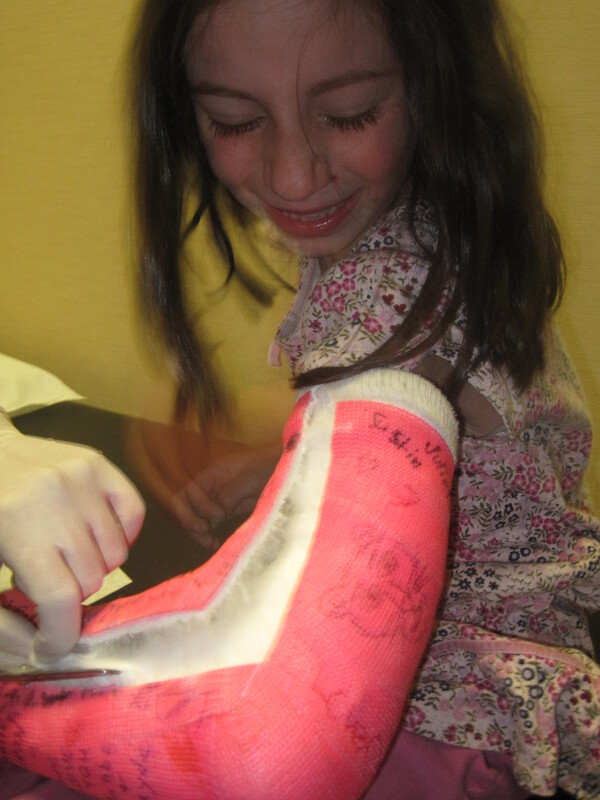 Has it been just four weeks since her surgery to repair the said fracture? To say that Poppyseed was hysterical would severely restrict your imagination. Her terror-filled shrieks brought not a staff member to the exam room but some other concerned mother. Who spoke no English. Poppyseed was amazed to discover that her mother could actually carry on a conversation in Spanish with this poor lady who felt so awful for my daughter. As evidenced by her clucking and cross-making. Time heals all wounds, “they” say. In this case, two metal pins helped. Two pins that will now be part of Show-and-Tell when Poppyseed returns to school after the Thanksgiving holiday. Four more weeks of restricted activity for Miss Poppyseed. Otherwise, she is good to go! Good for Miss Poppyseed. She looks happy to have her arm back to it’s “normal” state!